Absorbing vibration from the fan to the air duct. Partial thermal distortion compensation in the air ductworks. For mounting with the Tower-H, Tower-V, Tower-H EC, Tower-V EC roof fans. The end flanges of the flexible connector are fixed to the mating flanges of the air duct or fan (FDL counterflange) or to the backdraft damper through galvanized bolts and clamps. 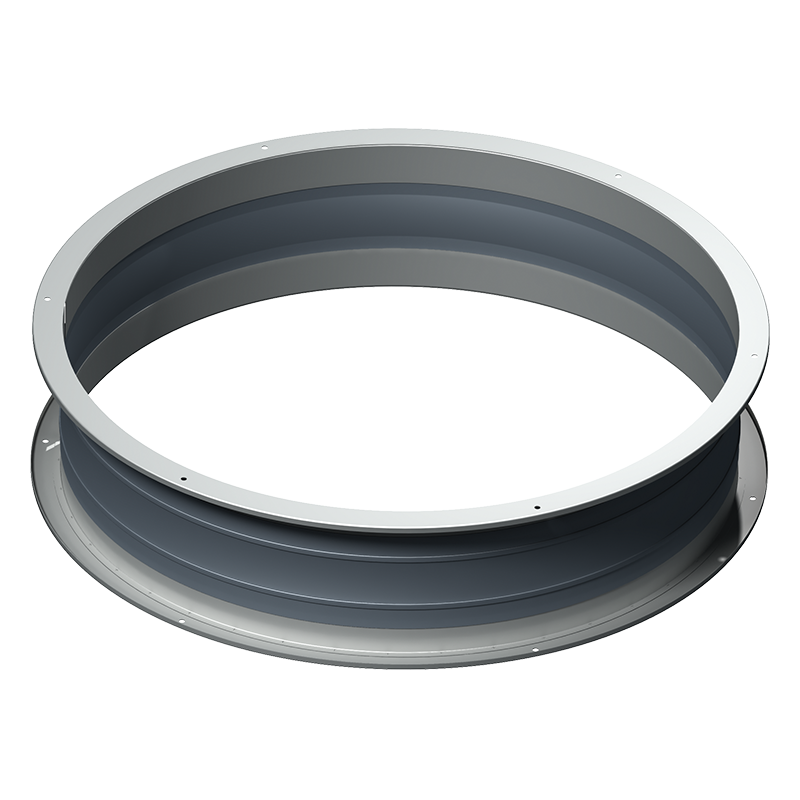 Consists of two flanges interconnected with a vibration-absorbing material. The flanges made of galvanized steel.The connecting vibration-isolating material is made of nylon reinforced polyethylene fabric.